← Nestle’s Long Forgotten Bonanza Bar and A Tale of Two Product Launches! 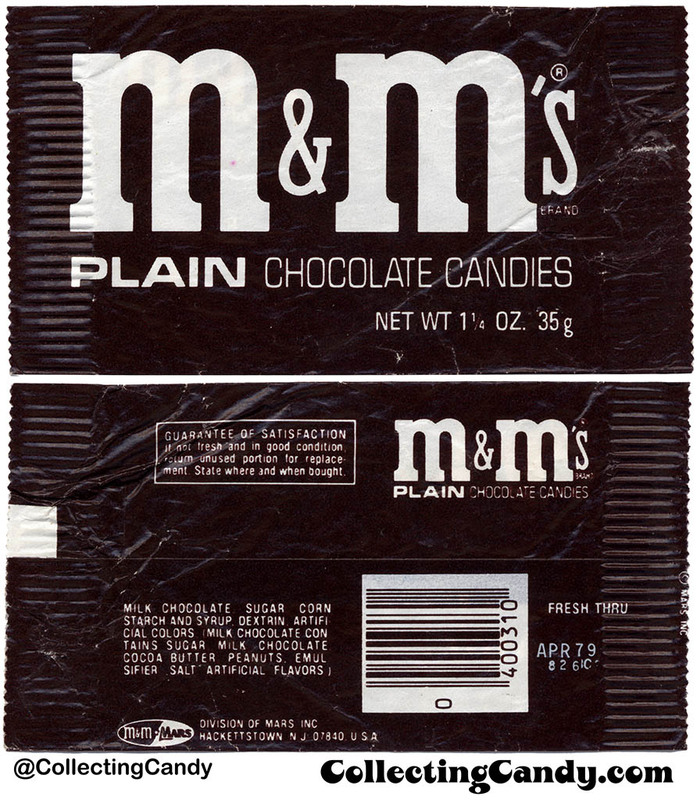 Between 1976 and 1985, red M&M’s were banished from the world due to a Russian “red scare” having to due with a food dye additive. 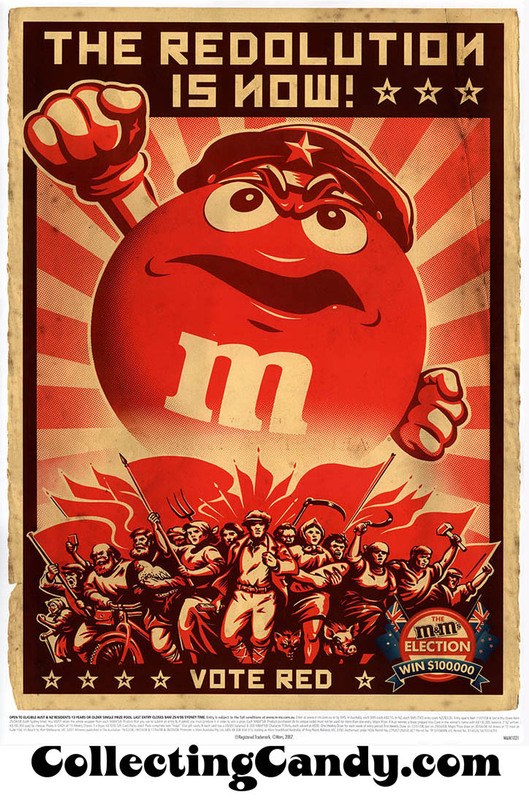 It is a story that has been told before, but newly discovered evidence reveals an aspect of the tale that has never been considered before now; how M&M’s own red scare may have delayed the rise of their globally-popular mascot characters for twenty years. Make the jump to check it out! 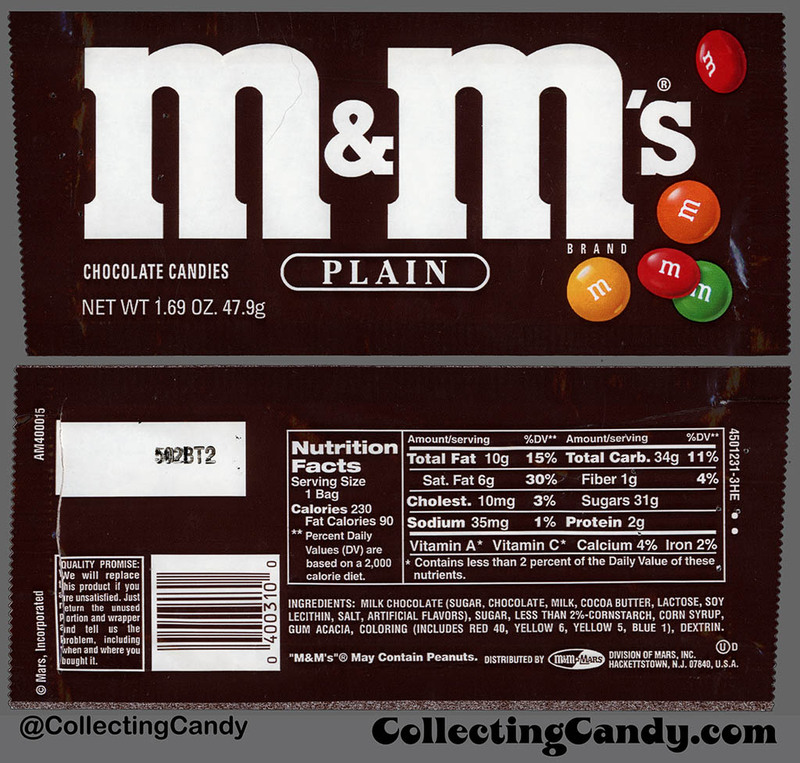 If you are of a certain age or have a passing interest in M&M’s history, you may already know that red M&M’s were removed from the color mix for many years. 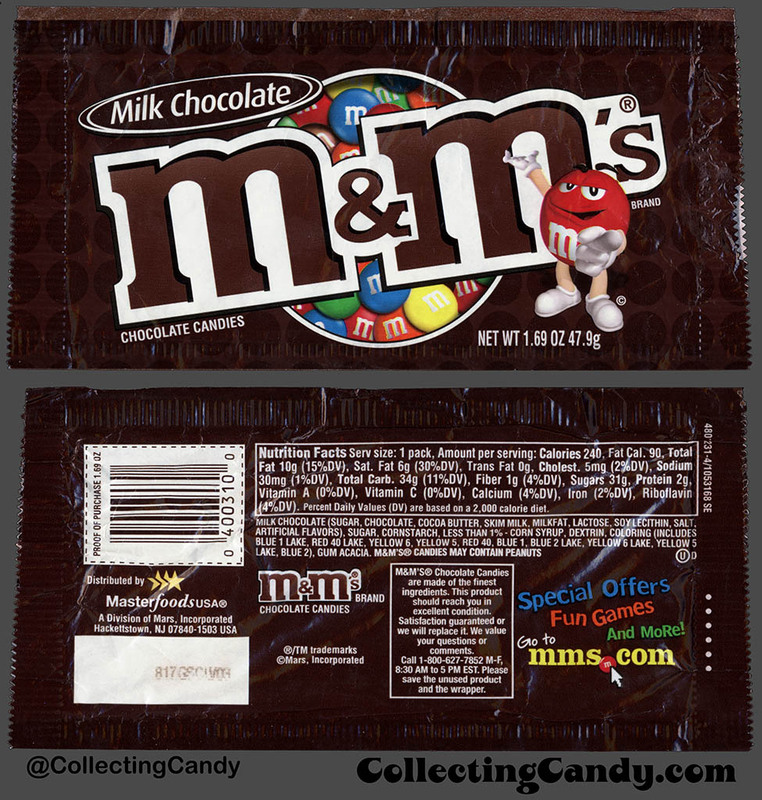 The popular mythology goes that the red dye used in the M&M’s at the time caused cancer, but that’s not the actual story. 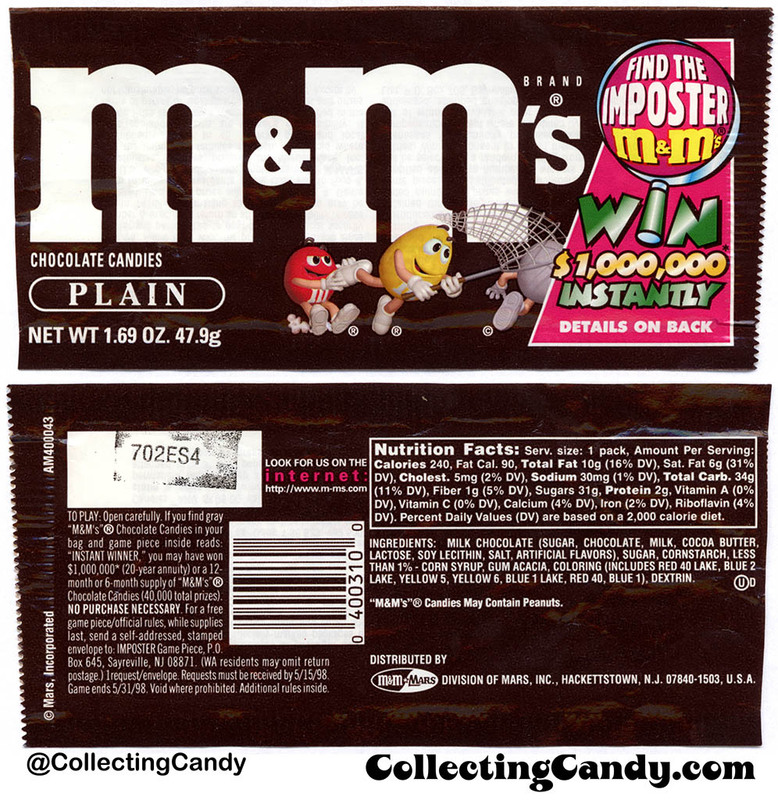 A detailed history of why red M&M’s disappeared for a decade was expertly brought together by Zachary Crockett for the Priceonomics website back in 2014. I will share snippets of the same information here, but I highly recommend reading that insightful full original article. As the story goes, a Russian study of “Red Dye No.2” in 1970 concluded that the dye caused cancer in rats. While that study would turn out to have been deeply flawed, by 1975 the word had spread and consumer fear in the United States had grown. A good deal of media/consumer outcry combined with an abundance of caution by the FDA led to the government organization banning “Red Dye No. 2” in 1976. 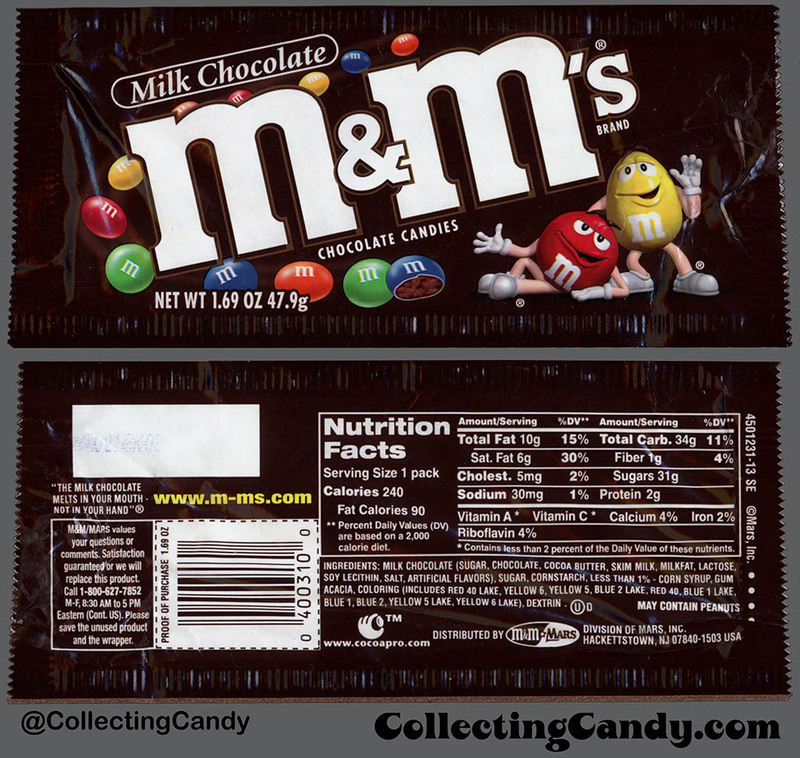 And even though M&M’s had never used the dye (red M&M’s were produced using the less-controversial Red Dye No.40), the color was removed from the mix to avoid bad press or PR caused by consumer confusion. 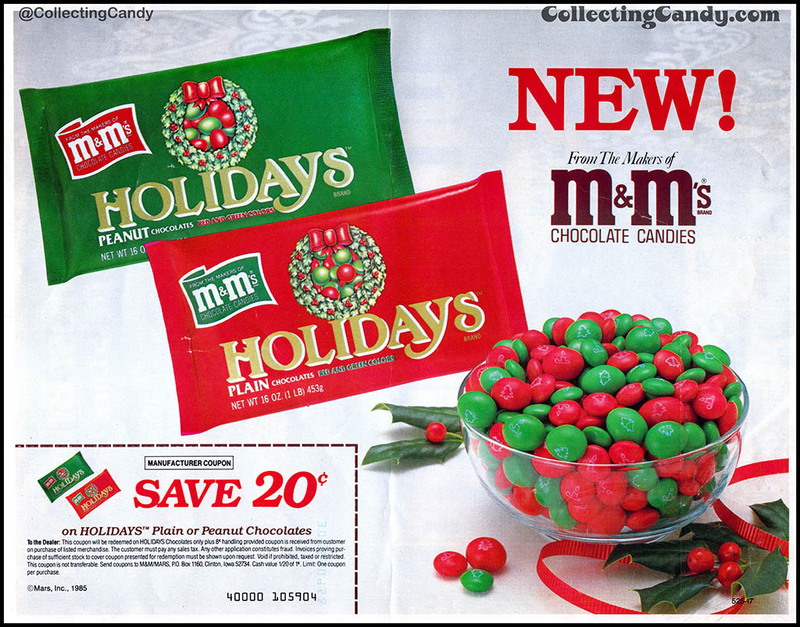 It wasn’t until a decade later and a few passionate fans’ letter-writing campaign that red M&M’s were produced once again in late 1985 for a holiday mix, finally returning to the standard mix the following year. 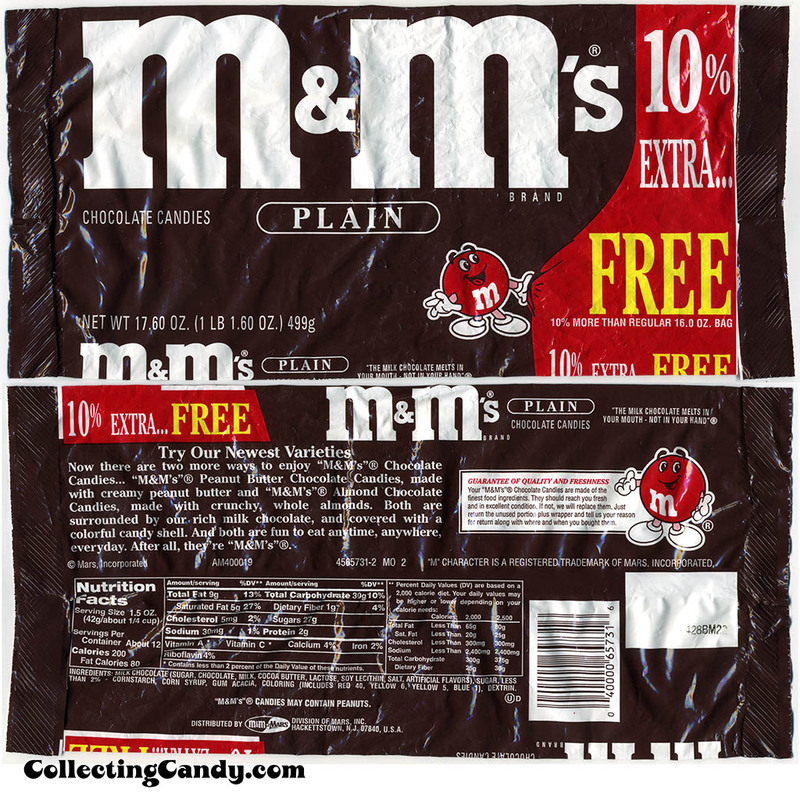 And so, the red M&M’s decade-long exile came to an end. 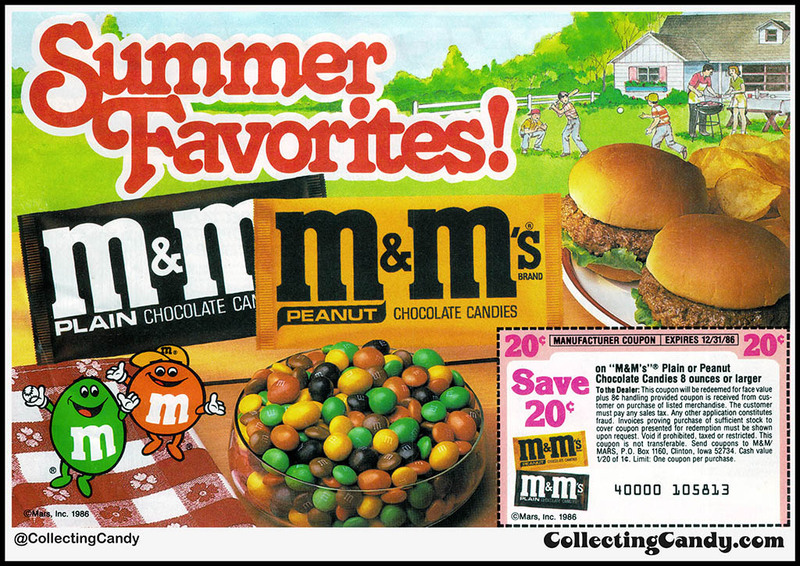 The red M&M’s mascot character would also eventually return and ultimately go on to become the de-facto sardonic spokesperson for the M&M’s family of characters. 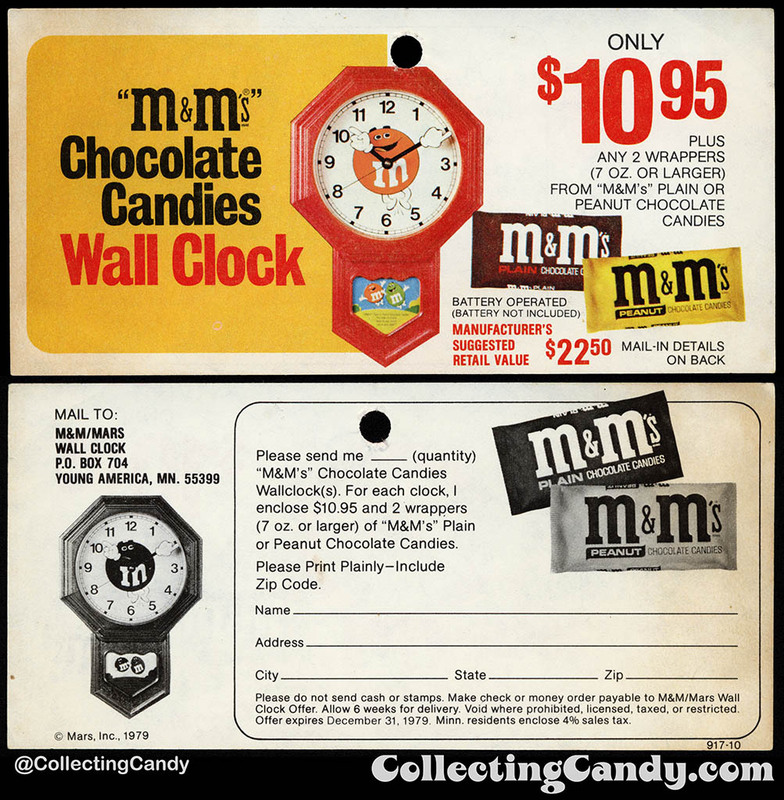 But that’s not the only story to tell, because I recently discovered a remarkable vintage M&M’s package I never knew about, and one that had never been documented before. 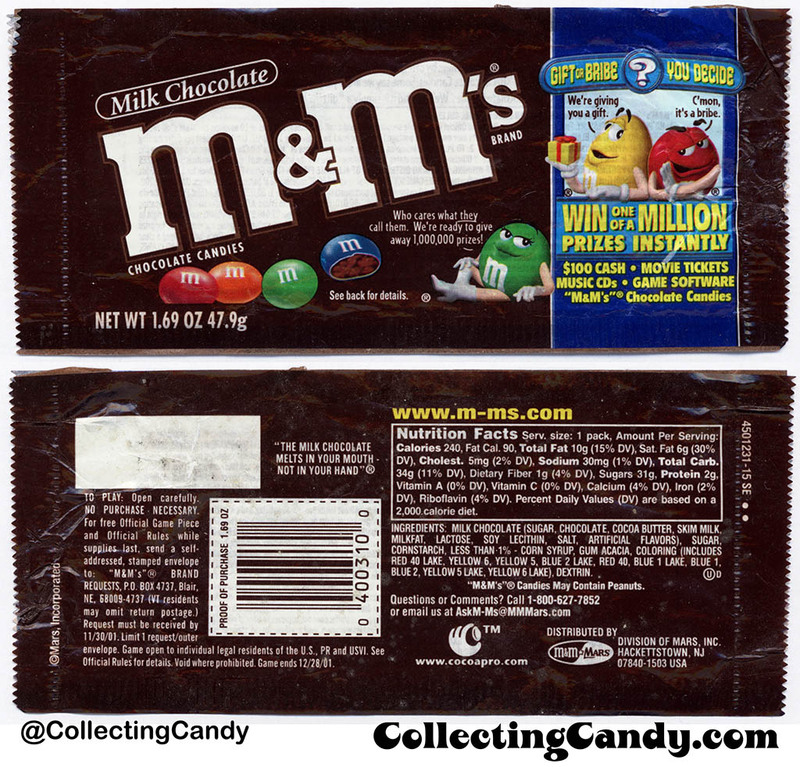 An M&M’s package from the time leading up to the original red M&M’s ban. It is a tale that requires some backstory to fully appreciate. 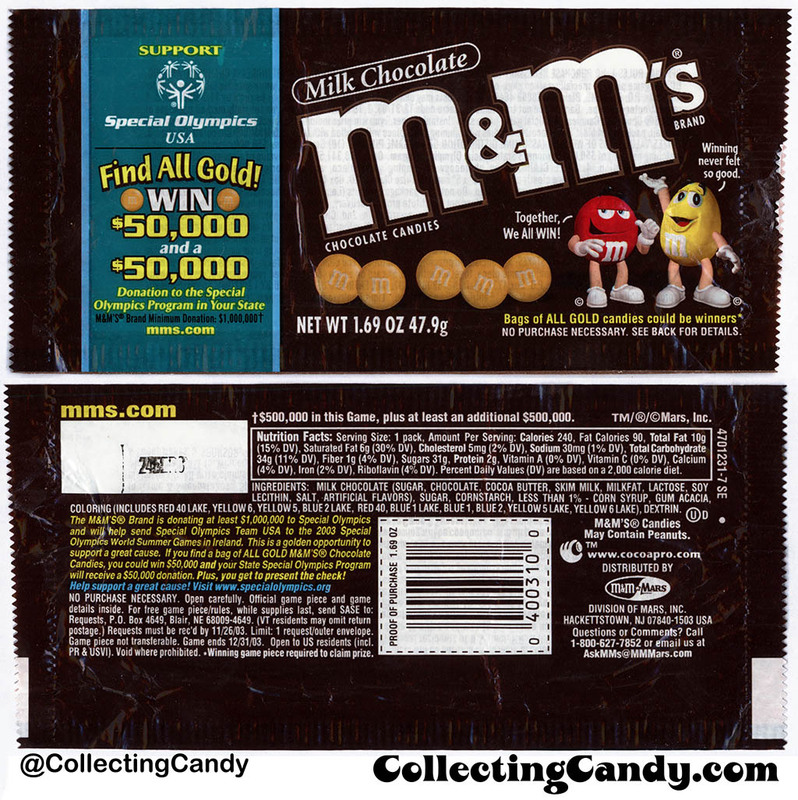 As described on the back of that historic package, “M&M’s now come in more bright colors and that means fun in every pack! By popular demand, we’ve added red pieces to our product. 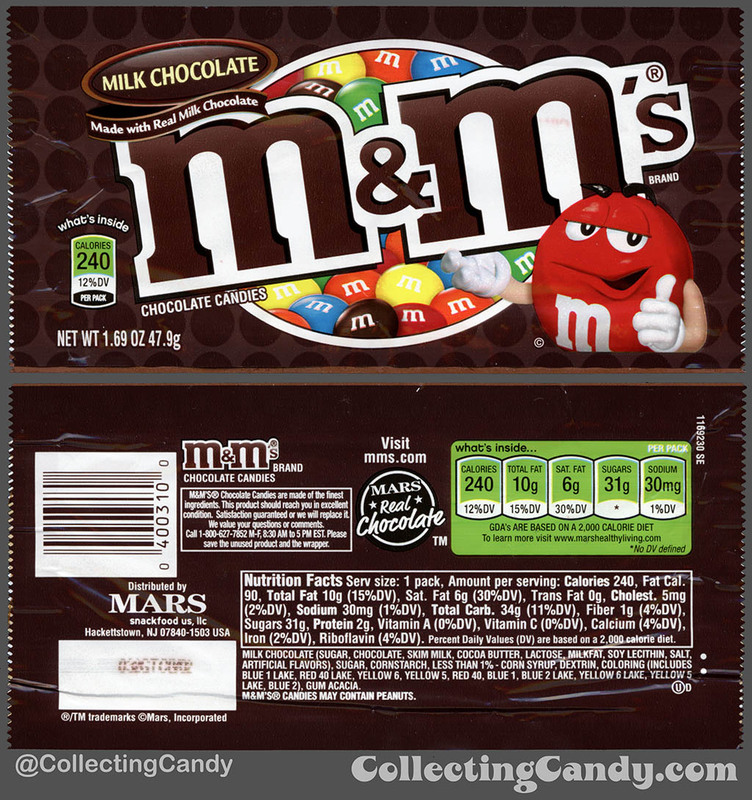 More colors make M&M’s Chocolate Candies even more enjoyable.” That made it official. 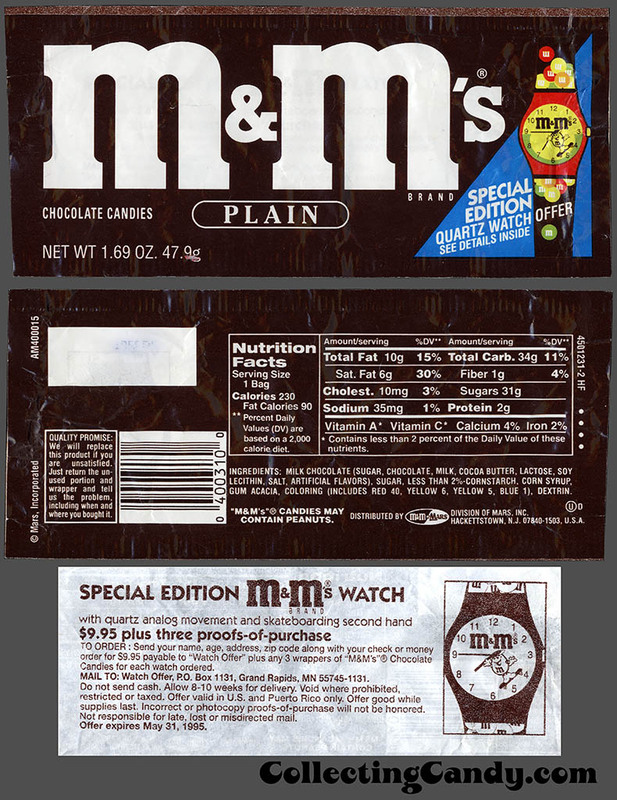 And while M&M’s mascots would still not be standard on packs for another decade, the 1980’s would have them showing up occasionally on the large pound bags, as they did on the back of that very package. 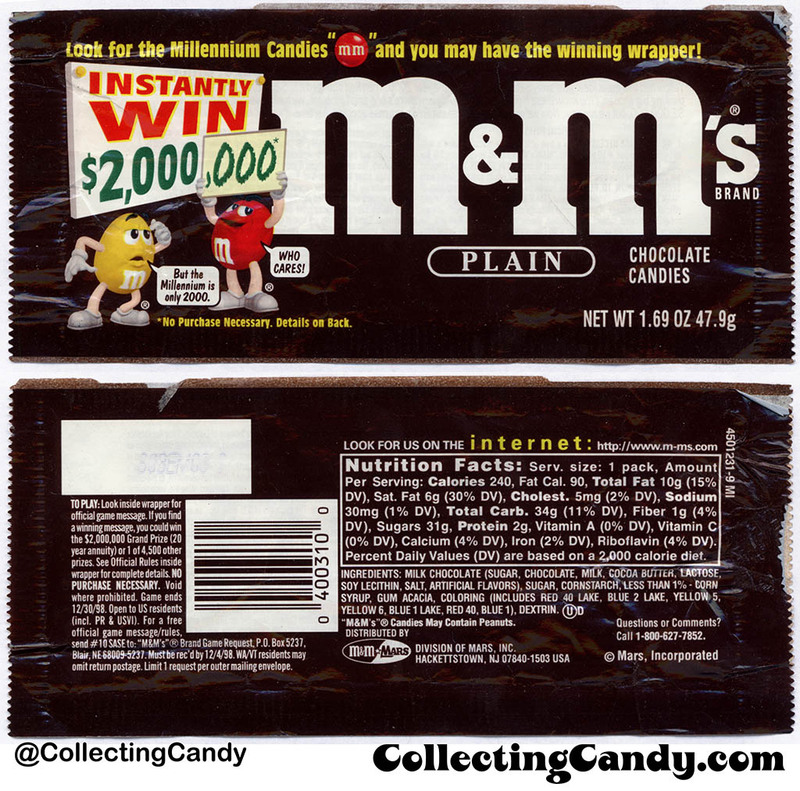 By 1995, red M&M’s had already been back nearly as long as they had been in exile a decade earlier, perhaps making their existence a bit passe. 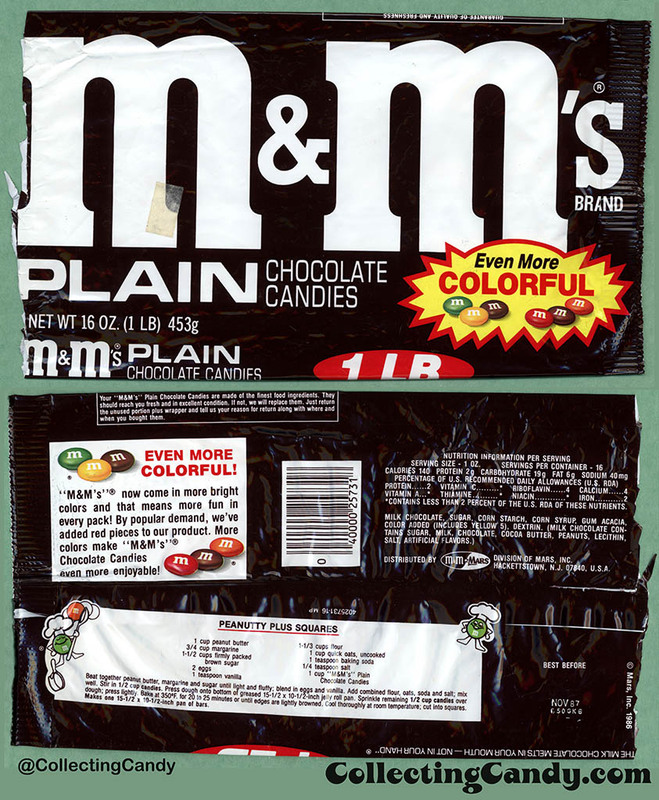 So Mars decided to play with the color mix yet again in 1996 to make it even more colorful than it already was, introducing the very first BLUE M&M’s. 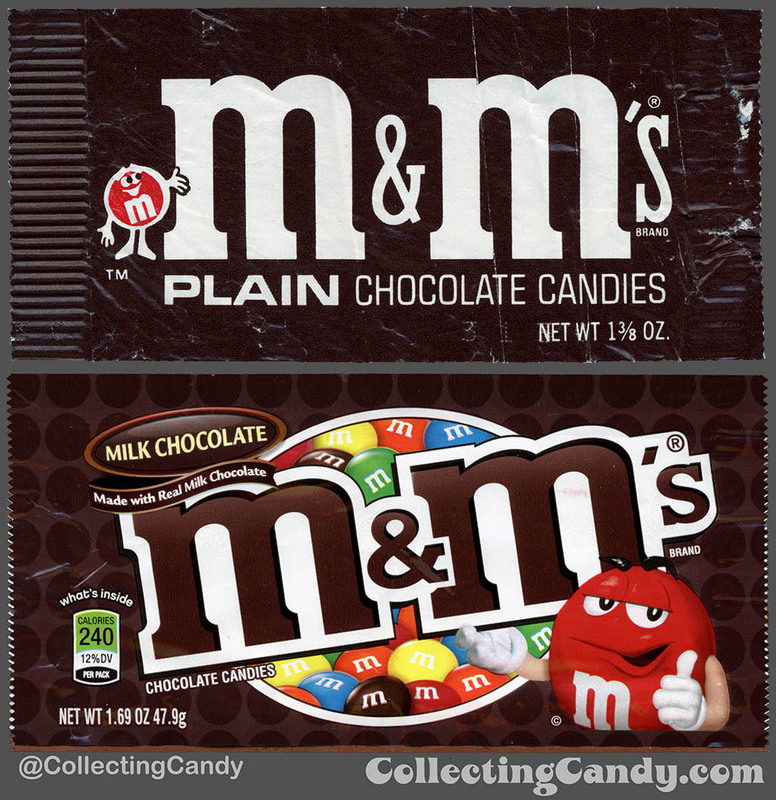 It’s worth mentioning that at this point in their development, the M&M’s mascots had reached superstar status. 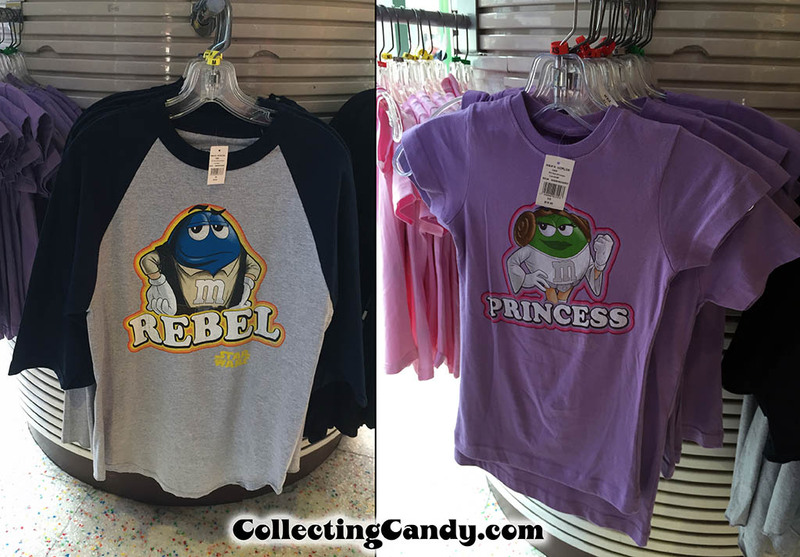 Coinciding with their inclusion on all M&M’s packaging, the mascots were beginning to be licensed out, eventually leading to M&M’s clothing, kitchenware, sporting goods, and just about anything you could print the characters upon. Red and Yellow were constant companions through these promotions, already featuring their now-iconic personality traits. 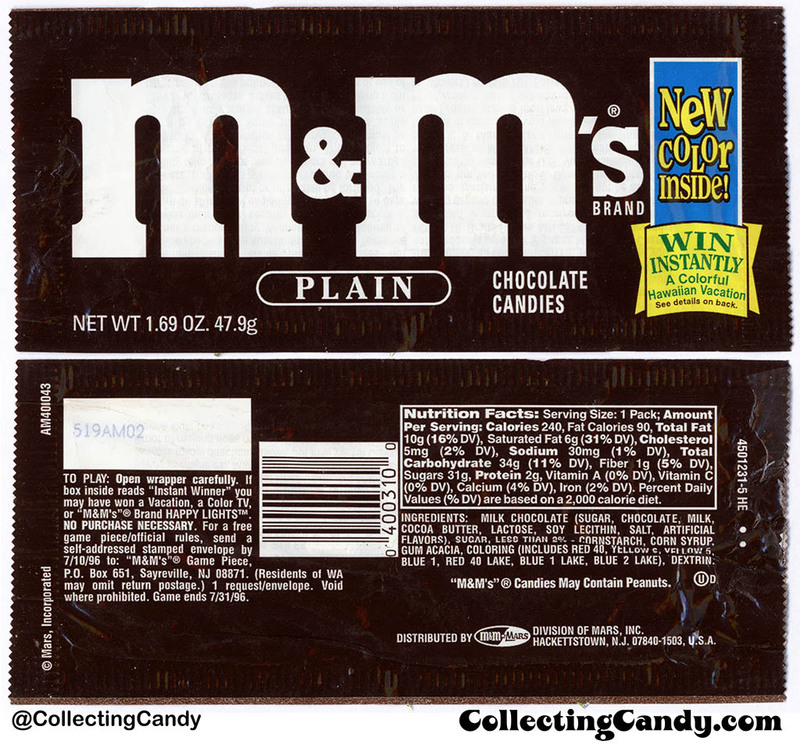 Also, around this time is when Mars opted to change the name of “M&M’s Plain” to “Milk Chocolate M&M’s”. 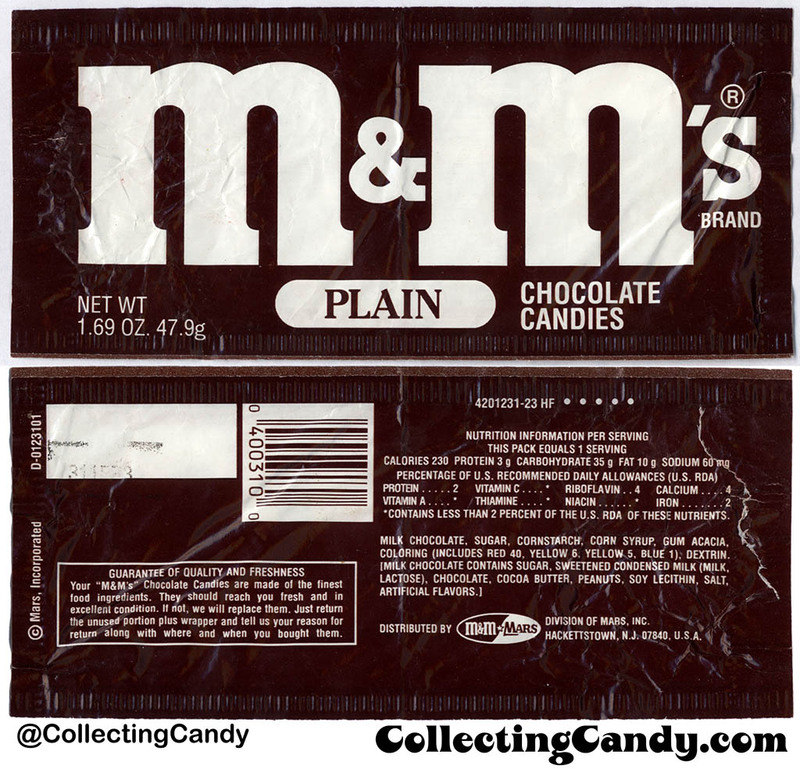 Seems they felt that “plain” could be interpreted as something less than amazing. 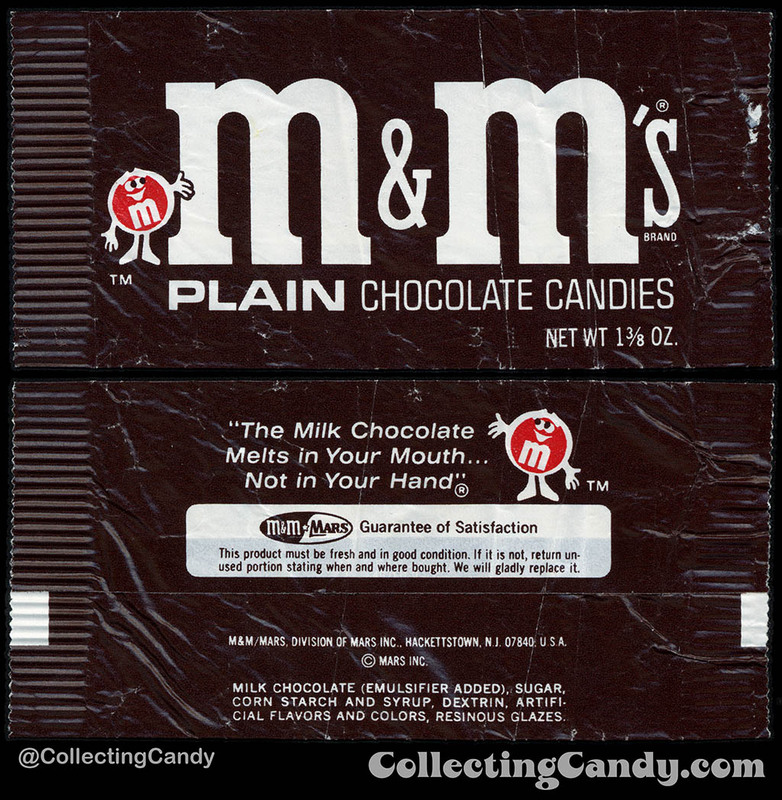 Red and Yellow’s partnership on Milk Chocolate M&M’s packs would continue for a little while longer, but by the mid-2000’s, they went their separate ways, with each mostly taking solitary control of their respective flavor packs. 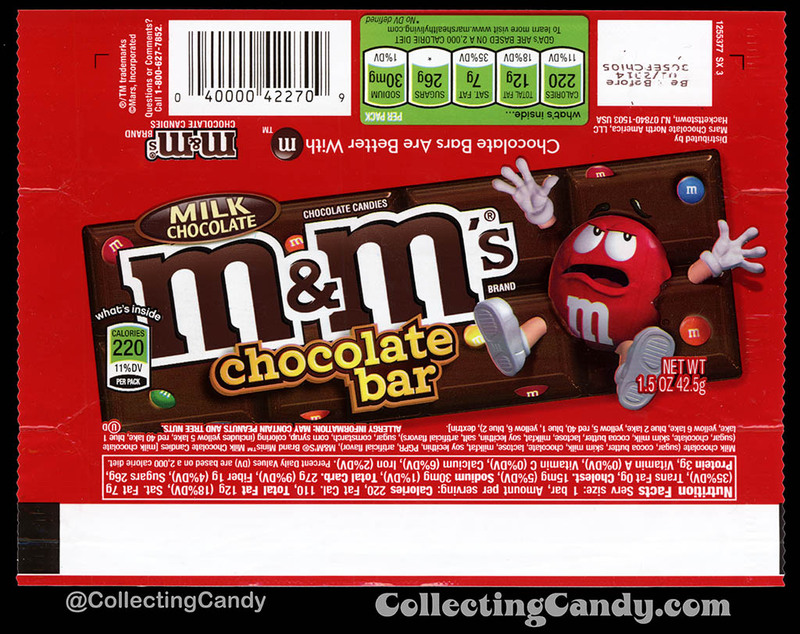 So while Red has certainly recovered from his mid-70’s exile and even benefited from his modern day “Redolution”, I can’t help but wonder what might have been had he not been pulled from assortments (and stripped from M&M’s packages) back then… we can only speculate. 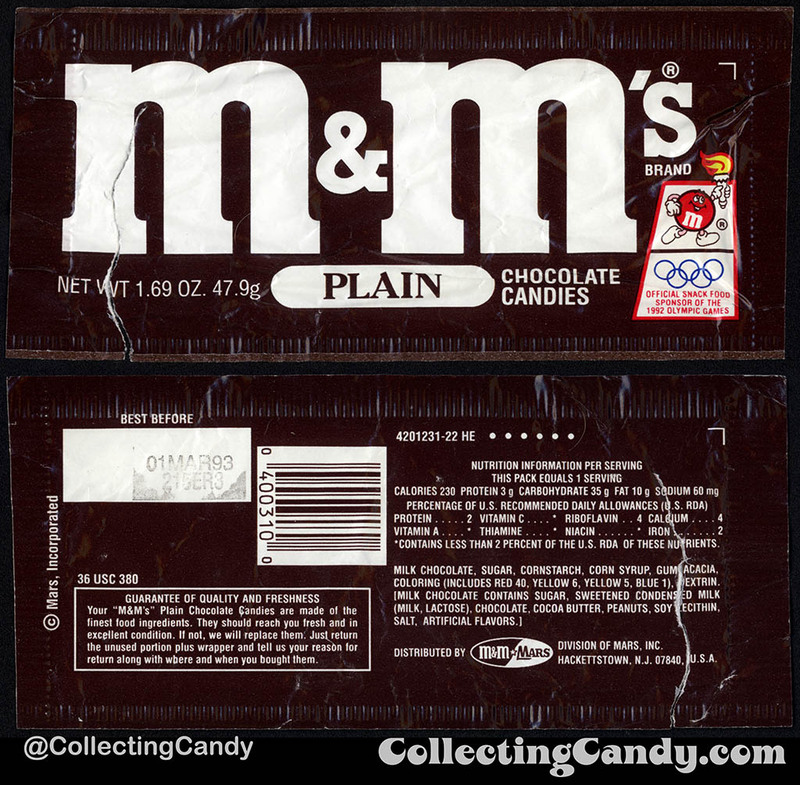 But I do wonder if that Russian “Red Scare” really did set back the M&M’s mascots twenty years. What do you think? 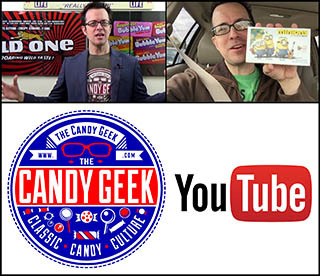 I would like to point out that today’s post kicks off a week-long series of posts celebrating CollectingCandy.com’s 5th Anniversary arriving on February 6th, 2017. Each day I hope to share an extra-special or insightful post with things you can’t see anywhere else but here. 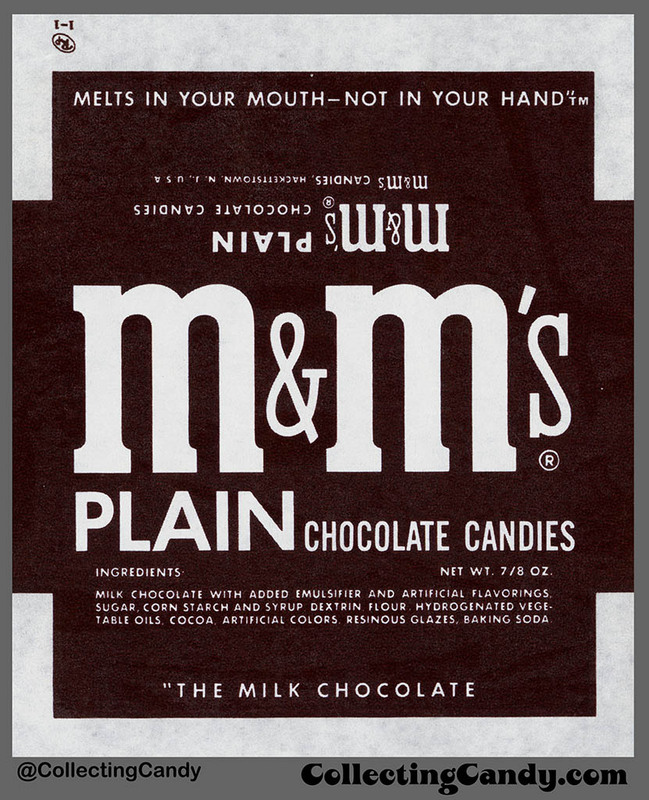 For now, that’s everything I’ve got to share on this exciting and previously unknown part of M&M’s history. See you next time! 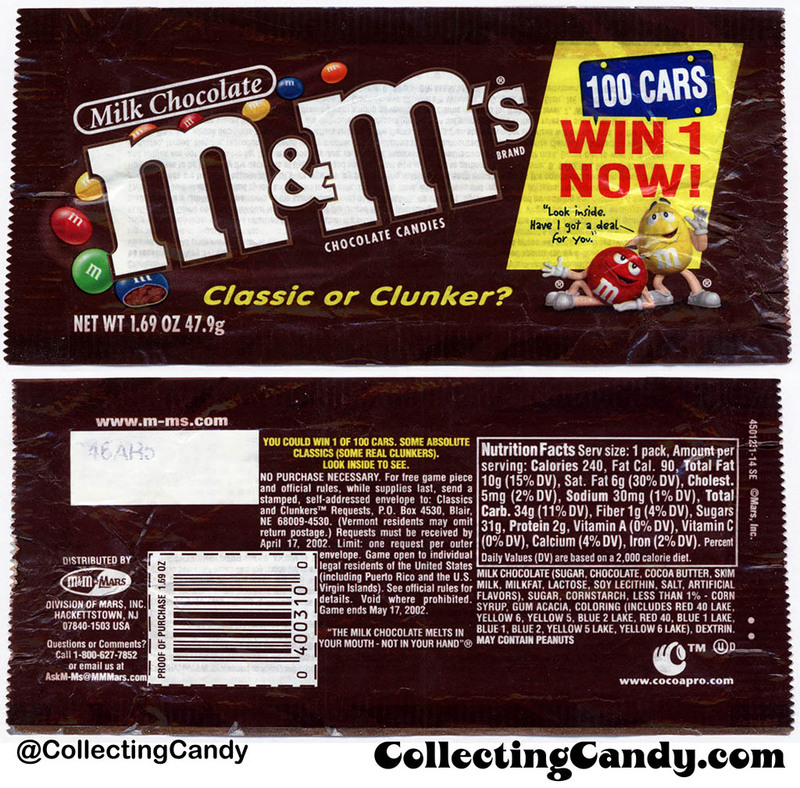 This entry was posted in 1960's, 1970's, 1980's, 1990's, Chocolate, M&M's, Mars and tagged candy collecting, candy collection, candy collector, candy wrapper collection, candy wrapper collector, collectible, collecting candy, confectionery, confections, M&M, M&M's, Mars, mascot, packaging, packaging design, Red, sweets, vintage candy wrappers, wrapper. Bookmark the permalink. 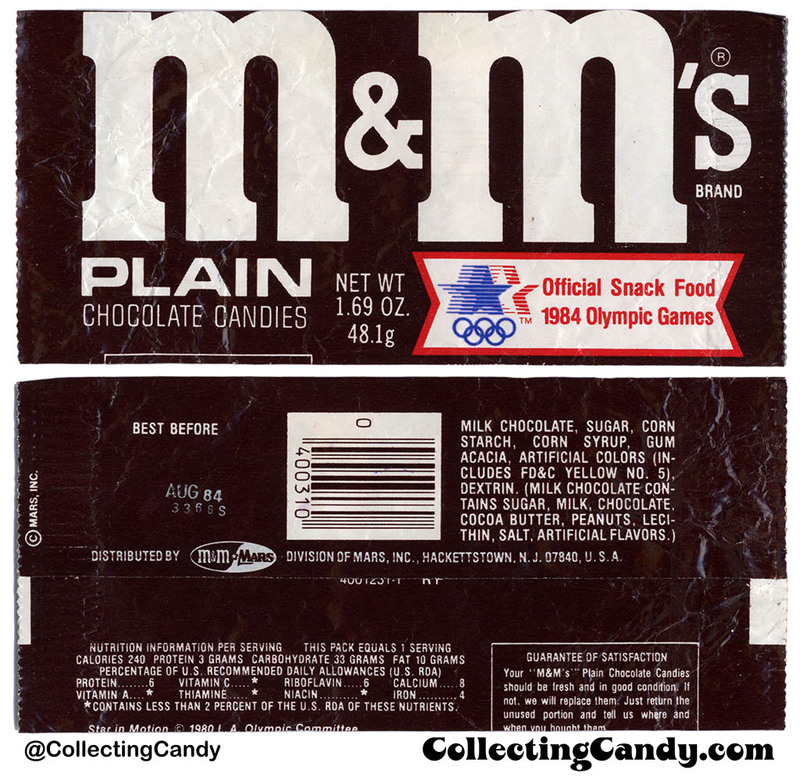 10 Responses to How a 1970’s Russian “Red Scare” Set M&M’s Mascots Back Twenty Years! Man, what a great article! So epic! You’re doing great work here, pal! Brad! Thanks man. You’re the best. This is a marvelous post, and a tale told very well. Nice work. 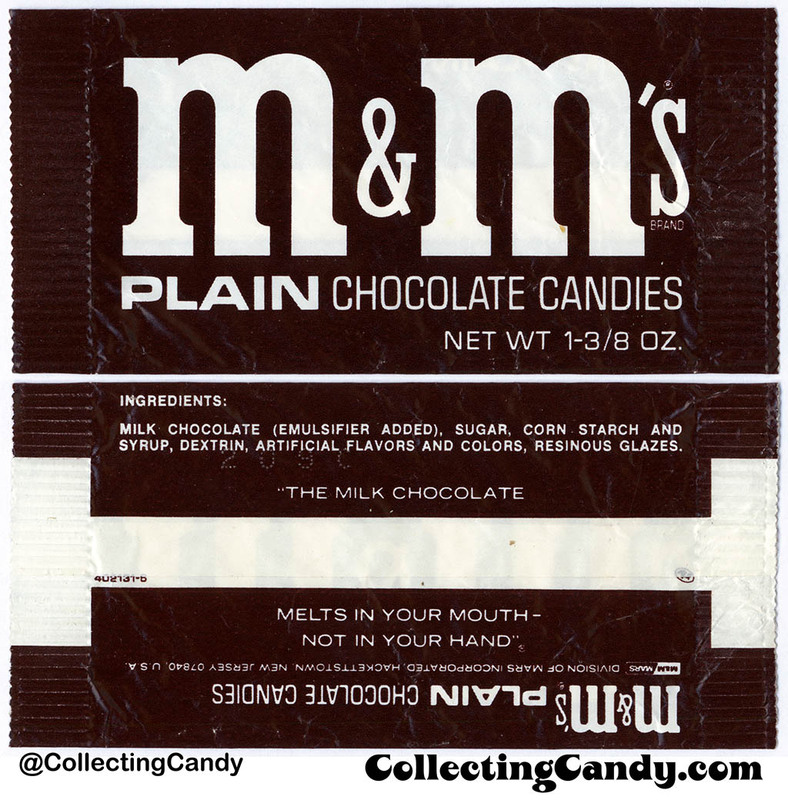 That early mascot wrapper is quite a treasure, too! Jason, this is what we come to your blog for–awesomeness! 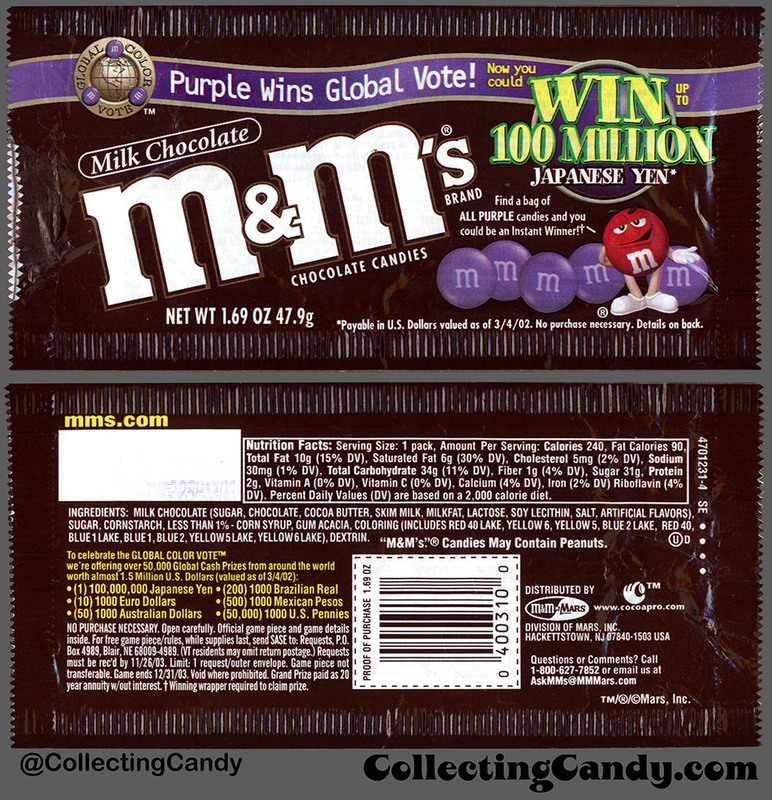 And congrats on your 5-year anniversary…can’t wait for more candy history! 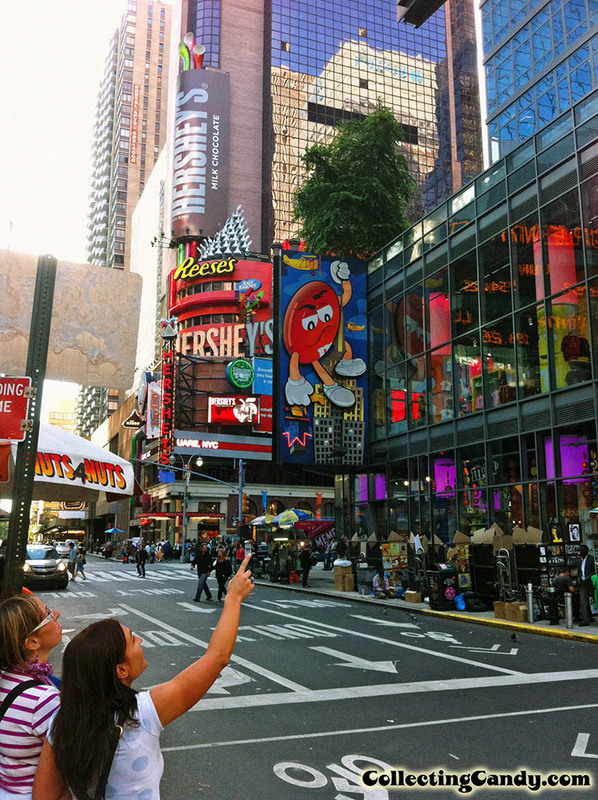 On a more down note…I’ve always highly disliked Mars’ characterization of the red mascot in ads. Sardonic is right–read highly ANNOYING, Danny DeVito personality! I just hate him..sorry. Why don’t they makeover the character in a younger, hipper, more fun-loving way? Why not make him a Justin Timberlake-type personality..all-around nice guy, fun to be around, sweet, talented, attractive…you know, a personality everyone from a 5-year old to a grandma would love? Makes no sense to keep him a grumpy old curmudgeon! Jason, this was a comprehensive and well documented piece. Thanks. 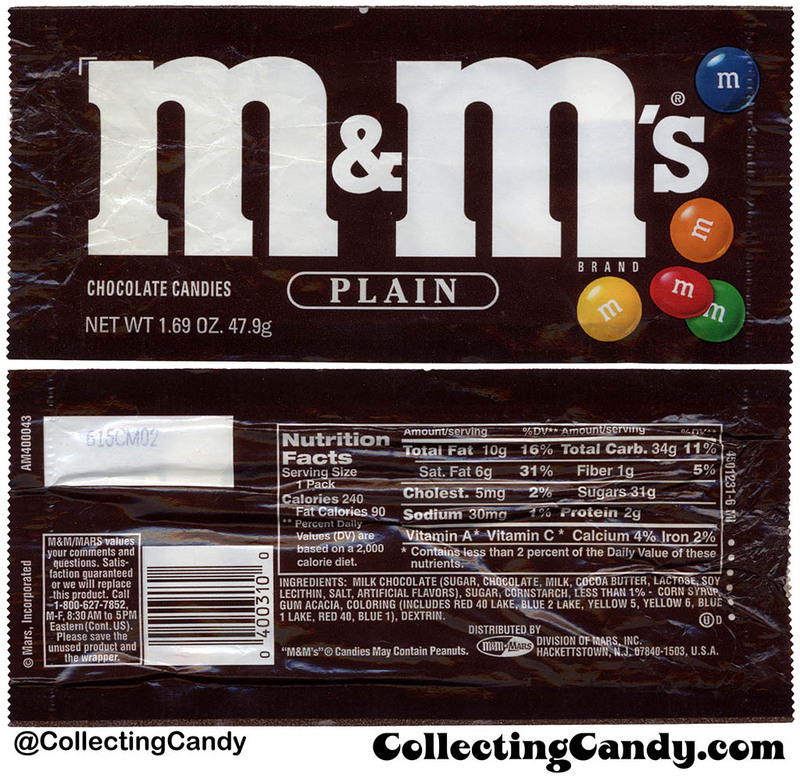 I was wondering what the history is regarding the tan/light brown M&Ms of our childhood? 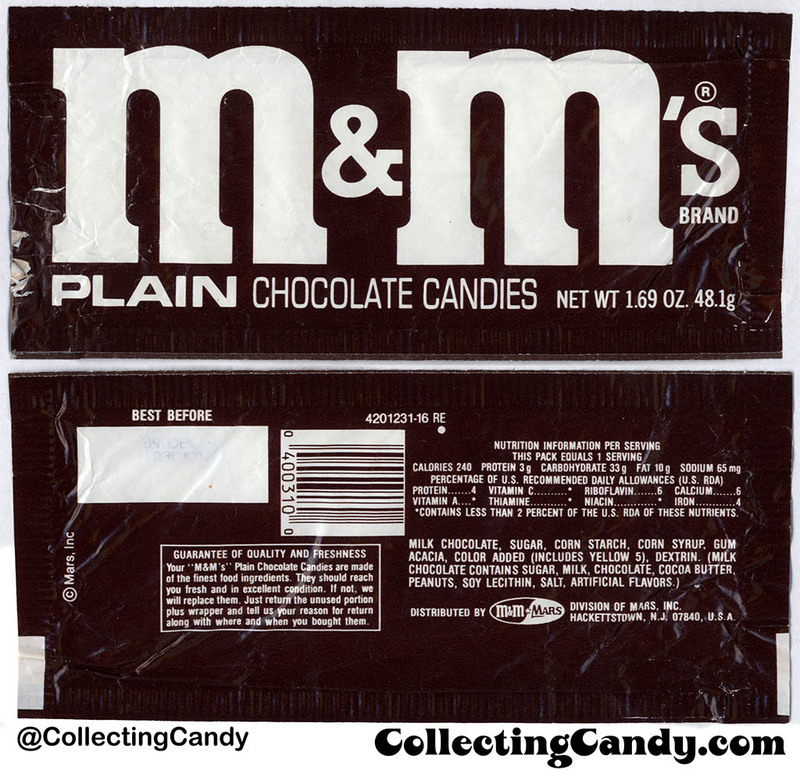 Yes Bob, I believe the the loss of the Tan M&M was the result of Red’s return.